Sign up for their Aldo emails and receive a 15% coupon for your next purchase (in store or online), plus you get birthday gifts special offers and pre-shopping exclusives. 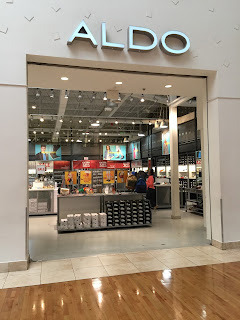 Note : You're 15% Aldo coupon will be emailed to you instantly ready to print for in store or redeem online. Coupon is a one time use coupon with a unique bar code, valid in the USA and Canada. Print out this coupon or show on mobile phone in store, get a 20% discount on new arrivals and regular priced items. Must show the code. Print a coupon for a $20 discount valid only on boots at your local Aldo shoe stores. Print coupon for a 15% discount on your next in-store purchase, will not work on sale items.